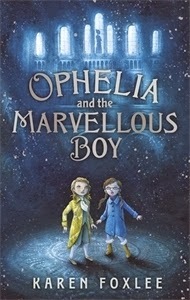 Kids’ Book Review is delighted to have author Karen Foxlee stop by on her blog tour for Ophelia and the Marvellous Boy. This wonderful middle fiction novel features an evil Snow Queen in the role of villain. 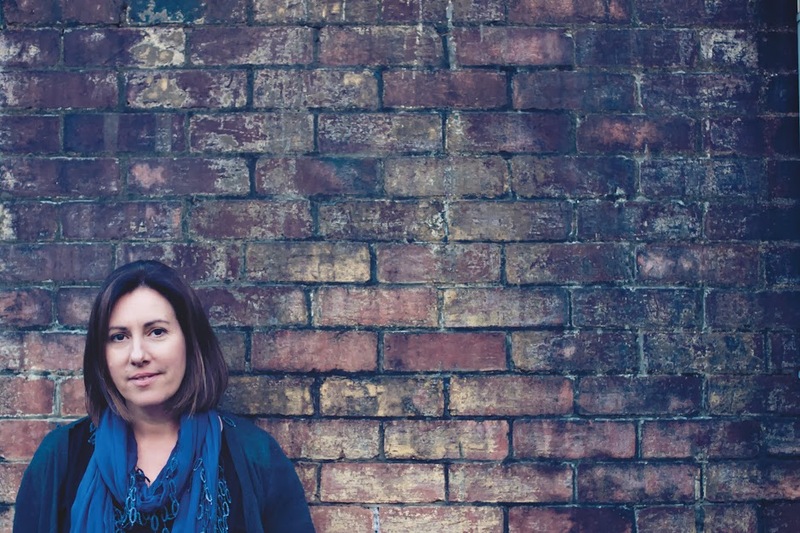 Karen shares with us why she feels this villainous role is so important in children’s books. Make sure you check out the other blog tour links at the end of this post for more informtion about Karen and Ophelia. Why are there are so many villains in children’s books and what purpose do they serve? I’ve been thinking about this a lot, since one turned up in my own; a snow queen, an icy villain, utterly evil, and intent on destroying the world.When she first arrived in my story I sat for a long time at my desk wondering what to do. She made me feel uneasy. What unsettled me most was my overwhelming desire to make her as terrifying on the page as I could. In the stories of my childhood there were some terrible villains! There were wicked queens, wicked step-mothers and wicked fairies. Wicked witches were thick on the ground (Lewis’s White Witch, Baum’s Wicked Witch from the West, and Dahl’s Grand High Witch). They did horrible and unfair things, just for the sake of doing them and I was shocked by the injustices they meted out. I was traumatised for years by thoughts of walking the plank thanks to Barrie’s Captain Hook. And in the stories of my childhood there were some particularly nasty wolves. Don’t even get me started on the wolves! But Andersen’s Snow Queen, she was the worst of all! She slid up in her sleigh and stole away a small boy. Nestled in my mother’s arms I can remember having the wind knocked out of me by that. A beautiful, nice smelling woman, offering warmth from the cold, was about to steal a boy. Surely he wasn’t going to get in that sleigh right? He did. He got in the sleigh! And Gerda had to set off on an epic journey to rescue her friend. So it seems that villains in children’s books serve to fuel the big “conflict” engine. Writers dream them up because they are the big Problem with a capital P. The villain might want to destroy the world or rule the world, or simply do away with Christmas. The villain might want to exact some horrible revenge, rid the world of children, or just swing little girls by their piggy-tails for the sake of doing it. Our heroes must battle them. They must overcome the obstacles the villain throws in their path.The greater the villain, the more valiantly our heroes must fight. It all makes sense; villains are to be overcome. But I’ve got this feeling they do much more than that too! Don’t book villains show kids the face of evil? Of course, bad people in real life won’t ride sleighs, or cackle wildly, but there will be bullies and nasty people, terrible people, people who hurt. Book villains show us the bad. They shine a light on badness. They magnify badness. They make badness seem insurmountable. They display it for children, in all its nasty glory, safely on the page, where it can be experienced. When Andersen’s Snow Queen’s sleigh slid up beside Kai my little heart said, “No!” but the page said “Yes, it’s true, watch her, she looks so good but really she is very, very bad." I think book villains also give childhood fears a face; senseless cruelty, separation from parents, loneliness, being lost, darkness and monsters. They solidify those free-floating worries, into a form that can be experienced and remembered. I can recall being frightened by villains but also soothed in a way, to have them there, those thoughts and fears in a recognisable shape, all pale white skin, fur coat and glittering eyes. Villains make us feel. They make our hearts lurch and quicken pace. They make us wonder and worry. They even make us look at ourselves. And then more….I believe book villains show kids that the desire for absolute power is a dreadful business. That villains are lonely. That most have a weakness (some are even to be pitied), that a terrible villain is best overcome with friendship and goodness and honesty and courage. That one should never, ever give up in the battle against evil and injustice. The more I created my own Snow Queen and my little heroes who battled her, the more I was convinced of these ideas. The more wicked I made my Snow Queen, the braver Ophelia and the Boy had to become. The more terrible I made her, the more they battled. They tried harder, their friendship deepened. I watched with fascination as they relied more heavily on their weapons which were persistence and love. Book villains make kids feel scared but also strong and empowered, armed with little more than goodness. This is, I believe, the wonderful purpose, they serve. Karen Foxlee is the author of two adult fiction novels. Ophelia and the Marvellous Boy, published by Hot Key Books on 6 February 2014, is her first middle fiction book. Visit Karen's Facebook page to find out more about her books and other writing projects and visit the other websites taking part in the Ophelia and the Marvellous Boy for more information about this wonderful novel.